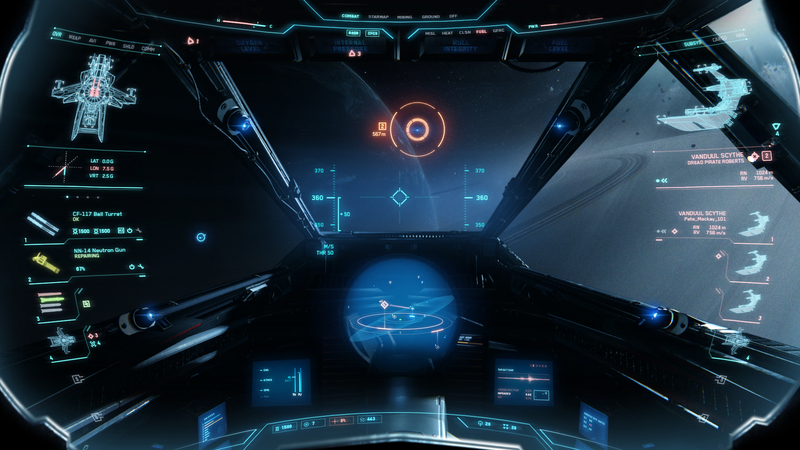 Star Citizen Crowd Funding Surpasses Expectations. Again. In Around the Verse Episode 30 it was announced that Star citizen reached the $72 Million mark as of February 5th 2015, making it absolutely the largest crowd-funded game that’s ever been created. This large mark is not a stretch goal and thus doesn’t come with any add-ons or rewards for reaching such a large amount. In January alone Robert Space Industries was able to raise more than $3.2 Million towards that goal. This $72 Million is a figure that is catching up to the reported $150 Million it took to develop Destiny, and handily surpassing the development cost of Call of Duty Modern Warfare 2. In addition to those great and very large monetary numbers, there are around 746,000 active pilots within the Star Citizen community that are playing Arena Commander. One of the other very beneficial announcements was the active development and testing of a tutorial map that can be accessed from within the Arena Commander module to provide a quick learning experience before being thrust into the fight with no idea what you’re doing. For new pilots this should prove a very useful mechanism to safely indoctrinate you into the wonderful world of Star Citizen. This tutorial should be featured as early as version 1.1 of Arena Commander, so look for it soon. If not, they said it may be pushed back though only to allow them to be able to make it an actual viable mechanism. In the past they have been known to listen to community feedback and fix even minor issues very quickly. For example, there has been some kind of invulnerability issue with one of their craft, though unfortunately it has been reported and has thus been disabled. Money available for budget isn’t necessarily directly related to the success or failure of a game, as even inexpensively budgeted indie games such as Spelunky can provide hours of entertaining high-quality game play. But Chris Roberts’ past accomplishments in mind, it’s easy to see that his creation could very well end up being an incredible game. The money available could translate into a well polished and designed game, and the current semi-open beta policy that invites criticism and improvement could also be a contributing factor to one of the better games of the century. Until it’s actually officially released, though, we can still enjoy playable modules that offer tremendous value and fun despite their unfinished nature. All in all it should be exciting to follow the development.